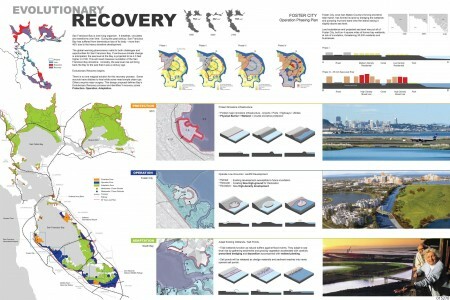 Despite what might potentially become our best efforts to reverse climatic change it is widely suggested that sea-levels will inevitably rise displacing the millions of residents inhabiting coastal lands. But it seems its our human nature not to address the issue until we're swimming in it, so solutions at this point are relatively minimal. 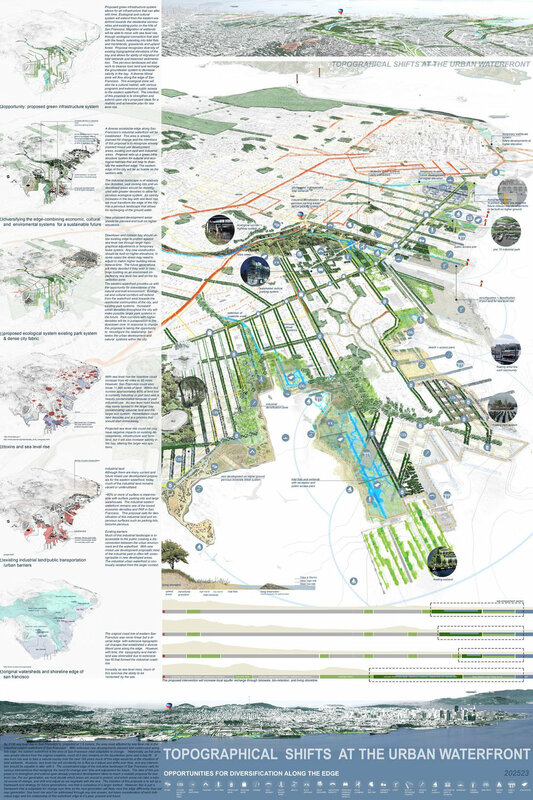 Concepts will and should come from designers, and I would hope during this downturn that perhaps Landscape Architects volunteer our time to offer solutions. 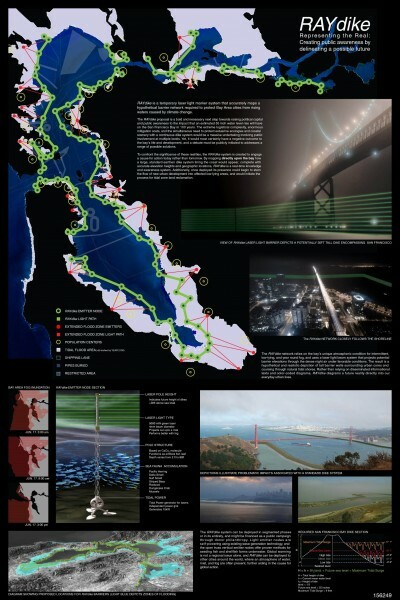 In that spirit, the Bay Conversation and Development Commission out in San Francisco recently announced winners of the Rising Tides Competition. 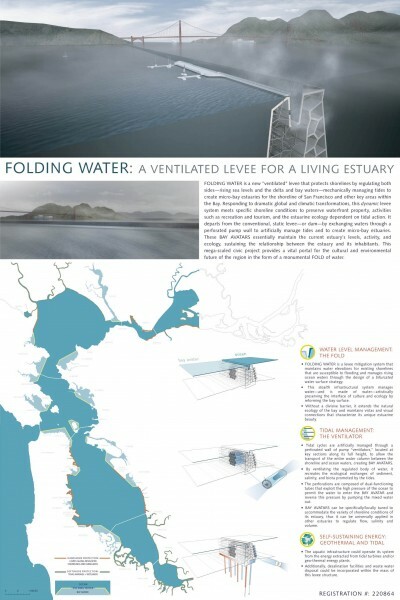 The competition, which drew 130 entries from 18 countries, challenged designers to create waterfront strategies that envisioned a 55-inch rise in sea level over the next century. Toyo Ito & Associates Architects / Island City Central Park Grin Grin from 0300TV on Vimeo. 0300TV presents a video of Island City Central Park GRIN GRIN in Fukuoka designed by Toyo Ito. Planning on Visiting a California State Park this Summer? Think Again. The budgetary woes of California is old news, and months and months of an unfinished budget debate between lawmakers and Gov. Schwarzenegger are digging a deeper hole for Californians. Just recently however the proposed budget that's now pushing for approval is one that will effectively terminate funding for California State Parks, closing 220 parks up and down the Golden State (59 will remain open). As anyone who's visited one these parks, especially in the summertime, one can attest to their popularity as you're rarely afforded the opportunity to experience one alone. I can only imagine the effect that the closing of so many will have on the impact of so few. More visitors filtered to the remaining inevitably means more degradation, more trash, and less serenity. Part of me is willing to temporarily turn the other way given the economic crisis we're in. Unfortunately, because of the fiscal mistakes of some sacrifices will have to come from somewhere. But, again I think lawmakers underestimate the necessity of parks, especially for overcrowded SoCal. And can just imagine the road rage of hundreds of over-sized truck owners when urban stresses cannot be relinquished with weekend park retreats. The California State Parks Foundation quickly declared a Save Our State Parks Weekend (also known as the more urgent SOS Weekend) which will happen statewide June 20 to June 21. During this weekend, the campaign asks citizens to visit a park and take photos of themselves, and to wear green ribbons in show of solidarity. Save Our State Parks is compiling stories about state parks and calling for mobilization through its Facebook page, when I last checked already had over 31,000 fans. One of the most notable parks set to close is the Los Angeles Historic State Park. One of the newest parks in the state system, these 32 acres are referred to as "the Cornfield" by locals due to a large-scale artwork by Lauren Bon that planted this former railyard with corn. After drawing awareness to the area, a park was designed by the competition-winning Hargreaves Associates to create a recreation area in this greenspace-deprived neighborhood. Another unfortunate closing would be the Malibu Creek State Park. The trails of this mountainous park northwest of Los Angeles wind through canyons, over mountains with stunning rock formations, and along the 25-mile long Malibu Creek. But the park is perhaps best known as the location for many Hollywood productions, including the TV show M*A*S*H, which left behind plenty of its vintage war vehicles. If you'd like your voice heard you can go the California State Park Foundation website for links to petitions and their facebook page.